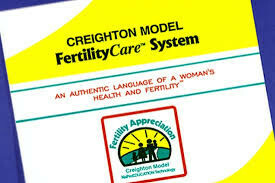 FertilityCareTM is a natural approach to understanding a woman’s menstrual cycle through instruction in the CREIGHTON MODEL FertilityCareTM System (CrMS). FertilityCareTM empowers women and couples to make healthy and moral decisions regarding their fertility, family planning and reproductive health. A true understanding of a woman’s cycle and a couples’ fertility fosters a respect for women, appreciation of fertility, and a stronger marital bond. 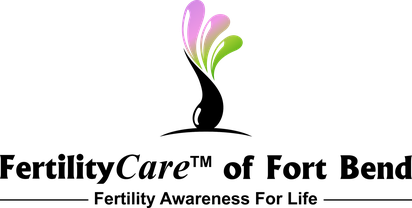 FertilityCareTM treats the natural cycle as a beautiful component of what makes a woman a whole person, while fully embracing the sanctity of marriage and the dignity of life. The Pope Paul VI Institute describes the CREIGHTON MODEL FertilityCareTM System (CrMS) as “an authentic language of a woman’s health and fertility.” Using a standardized approach and recording system to monitor the natural biomarkers of a woman’s menstrual cycle, the CrMS provides couples with the information needed to make natural procreative choices and uncover underlying health concerns. Natural and Cooperative : First and foremost, the CrMS does not treat fertility as a disease. It does not use drugs or artificial devices. Women with regular, irregular and even anovulatory cycles can use the CrMS. It is also ideal for adolescents, women who are breastfeeding, or women who are pre-menopausal. Medically Safe : Unlike chemical contraceptives, such as the birth control pill, and unlike mechanical devices, such as IUD’s, there are absolutely no side effects or health risks associated with using the CrMS. Shared between Spouses : With the CrMS, the responsibility of family planning is shared between the husband and wife. This fosters a unique understanding of a couple’s combined fertility and promotes marital bonding. Morally Acceptable : The CrMS works in complete harmony with the human person and their sexuality. Therefore it does not conflict with the moral doctrine of any faith. Economical : When compared to contraceptive drugs and devices used for family planning, the CrMS is literally a fraction of the cost. In today’s world, the majority of women are prescribed hormonal contraceptives to treat a variety of gynecological health abnormalities. In cases of infertility, couples are most often told that expensive treatments such as In Vitro Fertilization (IVF) are their only option. Unfortunately, not only do these solutions have significant moral implications, they have a low probability of success and significant side effects. They also do nothing to address the underlying cause of the abnormality. Working cooperatively with the women or couple, NaProTECHNOLOGY doctors work to uncover the root cause of the problem. All treatments are applied in conjunction with natural cycle. Your FertilityCareTM practitioner can aide in the treatment process with frequent communication and follow ups. Continued charting with the CrMS is essential to this process.